Whilst line of credit mortgages can be very effective, it is often only the well-disciplined who will reap the rewards. A simple solution to reach the goal of financial freedom is to make your repayments fortnightly, which most lenders will allow. With fortnightly payments, essentially the concept is very simple. You make a payment every two weeks, there are 26 fortnight’s in a year, therefore annually you make 13 payments rather than the 12 you would make with monthly repayments. Fortnightly payments seem remarkably simple, yet could make a profound difference in the overall repayments during the loan term. This method of repayment could help you wipe up to four years off your 25-year loan term, and may help you save thousands of dollars. If you can factor the extra repayment into your budget, you’ll hardly feel the pinch. 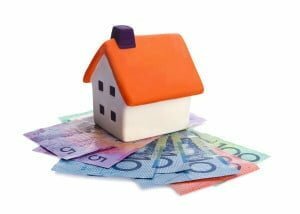 Unlike other home loan reduction techniques, which involve actively managing your mortgage on a monthly – even daily – basis, the fortnightly payment plan can be set up as a direct debit, so you can simply ‘set and forget’. Whilst other home loan options, such as line of credit mortgages may be effective in mortgage reduction, unless you are a disciplined spender, these may actually be more risky. If you start using your personal savings to buy essentials, the line of credit mortgage loses effectiveness as a method of reducing debt. It’s important to check your chosen lender credits you with 26 payments per year, as opposed to 24 or twice-per-month payments, which are effectively the same as monthly payments. Some lenders also only offer monthly repayments on interest-only loans during the interest-only period, so be sure to check with your lender that your loan facility allows you to make fortnightly repayments without any extra fees or charges. If you are really keen to reduce your mortgage amount, your lender may allow you to set up payments over the minimum repayment, whilst keeping the amount manageable. Be sure to ask what your options are. By using a simple mortgage reduction technique such as fortnightly repayments, not only will you better absorb the impact of interest rate movements, the extra repayments will help reduce the remaining principal balance. Overall, it will reduce the interest you pay and the term of your loan.